Late to Market and Mediocre: Where Has Google’s Innovation Gone? This has been a confusing and unpredictable year for Google’s users and observers, who can’t tell if the search giant is focused on shedding weight or expanding its reach. On one hand, Google made the wise decision to drop more than a dozen underused products (Aardvark, Sidewiki, etc.) in 2011 while also launching the mega-successful social network Google+. But looking at the tech company’s other launches, including this week’s liftoff for Google Flights, a disturbing trend becomes apparent: Google seems perfectly comfortable to be a copycat, not an innovator. 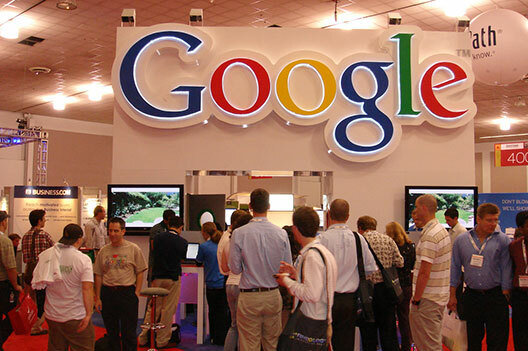 • Google Offers: A knockoff of Groupon, which was already being copied by upward of 500 competitors. • +1 Button: Google’s stab at a “Tweet” or “Like” button. Didn’t really make sense until Google+ came along a month later — and even then wasn’t integrated for another two months. And now we have Google Flights, which lets you find and book air travel. Who’s heard of such a thing? Oh wait, everyone. Back in 2007. Don’t get me wrong. This product was destined to become reality, seeing as how Google recently completed its purchase of ITA Software, which powers the flight search tools for most major airlines. But the real issue is that Google simply isn’t bringing much to the table. The execs saw Orbitz, Expedia, Travelocity and Kayak making money, and they wanted to swipe some of that money. Hey, that’s life in a capitalist society. But a company like Google has to do a lot more than just show up. Google Flights is a speedy but altogether mediocre tool, one that drives you to airline sites for purchase. This is a model pioneered by Kayak, which also lets you scan other third-party sites like Travelocity and Priceline. In a head-to-head comparison, The New York Times found Kayak to be a better option, though the writer gave Google credit for speed and simplicity. But this is the very thing that’s wrong with Google Flights: It’s OK. It’s fine. It has potential. That’s great if you’re talking about some startup graduating out of Ycombinator. But this is Google. When Google decides to go into a five-year-old industry already filled with strong competitors, why should we expect anything less than a generational leap forward? Instead, we get what we’ve recently come to expect from Google: a faster, whitewashed version of someone else’s idea. Google Flights isn’t bad. But the message it sends sure is. David Griner is the Director of Digital Content for Luckie and Company and contributing editor for Adweek’s blog, AdFreak.com. You can reach him by e-mail or follow @griner on Twitter. This entry was posted in Digital, Mobile, Social Media, Travel and Tourism. Bookmark the permalink.